The children's musical "Down Unda Rescue Sanctuary" was premiered at The Brooklyn Children's Theatre as part of their Mainstage Fall Theatre Festival. With Book and Lyrics by Lindsay Anderson and Cassidy Dermott, and Music by Ben Diskant. For more photos and information click here. "One Swipe Away" written with Lindsay Anderson wins The BMI Foundation Jean Banks Musical Theatre Award. For more photos and information click here. Time and the Conways, directed by 2016 Tony Award winner Rebecca Taichman, opens October 10th at the American Airlines Theatre. For more information and tickets, click here. 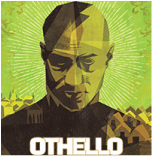 Othello, directed by Ron Daniels, opens February 29th at the Shakespeare Theatre in Washington D.C. The production runs through March 27th. For more information and tickets, click here. 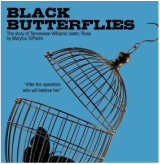 Black Butterflies, by Marylou DiPietro, is the story of Tennessee Williams' sister Rose. The reading is on December 7th at The Peter Jay Sharp Theater at Playwrights Horizons. Emma will be presented on November 2nd and 3rd at the Gallery Players as part of the Overtures New Musical series. The musical is written by Meghan Brown (book and lyrics) and Sarah Ellis (music). 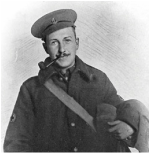 The Mint Theater is celebrating the 100th anniversary of Harold Chapin’s death with a reading of selected letters from Soldier and Dramatist (a collection of Chapin's letters). This event is one night only at the Mint Theatre and is directed by Jesse Marchese. 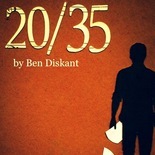 The Gallery Players in Brooklyn will present a two night Equity Showcase reading of the new musical 20/35 by Ben Diskant. Directed by Jesse Marchese, the piece will feature Ben Garrett and Christopher Johnstone and is the first musical in the Overtures series. The reading will be on Monday, September 21st and Tuesday, September 22nd at 7 pm at The Gallery Players. For more information, please click here. 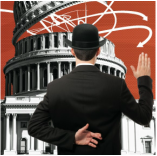 Our Betters, by W. Somerset Maugham, begins performances March 13th at Asolo Rep Theatre and runs through April 19th. The production is directed by Asolo Artistic Director Michael Donald Edwards. For more information and tickets click here. Both Your Houses, directed by Tony Award Winner Frank Galati, will begin performances January 21st at Asolo Rep Theatre in Sarasota, Florida. The production will run through April 12th. For more information or to purchase tickets click here. 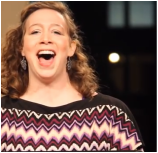 Watch the performance of "Jenny"as sung by Deb Radloff from the November 3rd presentation at Shetler Studios. Click here. 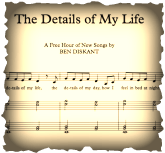 The Details Of My Life is the first presentation of songs written by Ben Diskant. Come join for a free, hour long concert at Shetler Studios at 6:30 pm. Monday, November 3rd at 6:30 pm. 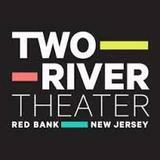 Robert Rechnitz, the Founder and Executive Producer of Two River Theater, will direct the premiere reading of his play Lives On Reason. The reading will take place on September 15th at Two River Theater. A Delicate Ship, the new play by Anna Ziegler, will receive its World Premiere production at the Cincinnati Playhouse in the Park, directed by Michael Haney. 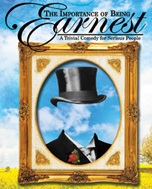 Performances begin March 22nd, and the production will run through April 20th. For more information and tickets, click here. Directed by Michael Sexton, As You Like It will run until February 16th at Two River Theatre in Red Bank, New Jersey. For more information and tickets, click here. 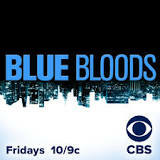 Ben completed filming on the second episode of the upcoming season on Blue Bloods on CBS. The fourth season begins September 27th, 2013. Episode 402 "The City That Never Sleeps" will air in early October. Ben completed filming the new web series Off The G, created and written by Nedra Gallegos and Carla Briscoe. 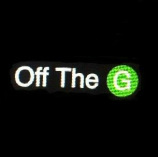 Look for Off The G in early October. 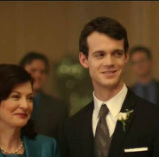 Ben is currently appearing in the national commercial for the diabetes product Lantus. To view the TV spot, click here. Ike Holter's rock-propelled gay rights drama Hit the Wall, which premiered at Chicago's Steppenwolf Garage Theatre last winter, will debut Off-Broadway Feb. 19 at the Barrow Street Theatre. Eric Hoff directs the production which is set to open March 10th. For more information and tickets click here. Ben will be appearing in a staged reading of Sardanapalus by Lord Byron at Playwrights Horizons. The piece is part of Red Bull Theater's Obie Award Winning Reading Series called Revelation Readings, and will be directed by Gaye Taylor Upchurch. For more information on Red Bull Theatre and its reading series, click here. 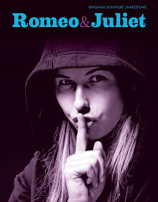 Ben will be appearing in Romeo and Juliet at Actors Theatre of Louisville this fall. Performances begin September 4th and continue through September 26th. The production is directed by Tony Speciale. For more information and tickets click here. 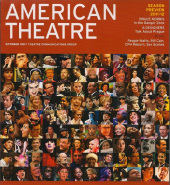 The Cincinnati Playhouse production of Merrily We Roll Along, directed by John Doyle, is featured on the cover of the current issue of The Sondheim Review (Vol. 19, No. 1 Fall 2012). The article includes an interview with John Doyle. For more information, or to purchase the magazine click here. Ben will be making his Alley Theatre debut in Noises Off, directed by the Artistic Director Gregory Boyd. Performances begin May 25th and run through June 24th. For more information and tickets click here. 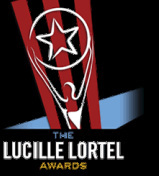 Classic Stage Company's winter production of The Cherry Orchard won Outstanding Revival at the 2012 Lucille Lortel Awards. For more information click here. 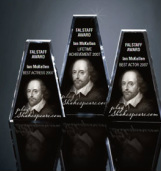 The 2011 Falstaff Award nominations were announced, and Ben received a nomination for Best Supporting Performance by a Male for his role as Ariel in The Tempest at The Old Globe Theatre. For more information click here. 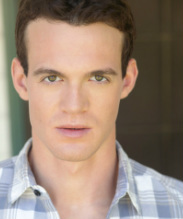 Ben received a 2011 Craig Noel Award nomination for Outstanding Featured Performance in a Play, for his role as Ariel in The Tempest at The Old Globe Theatre. Miles Anderson (Outstanding Lead Performance) and Adrian Noble (Outstanding Direction) received nominations as well respectively. 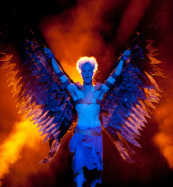 The Tempest was nominated for 6 awards. For more information click here. Ben will appear in Merrily We Roll Along at the Cincinnati Playhouse this winter. John Doyle (Broadway's Company and Sweeney Todd) will direct the piece which will star Malcolm Gets, Becky Ann Baker, and Daniel Jenkins among others. Ben will be appearing in The Cherry Orchard at Classic Stage Company with previews beginning November 16th and opening night set on December 4th. The production is directed by Andrei Belgrader and stars Dianne Wiest and John Turturro. For more about Classic Stage Company click here. 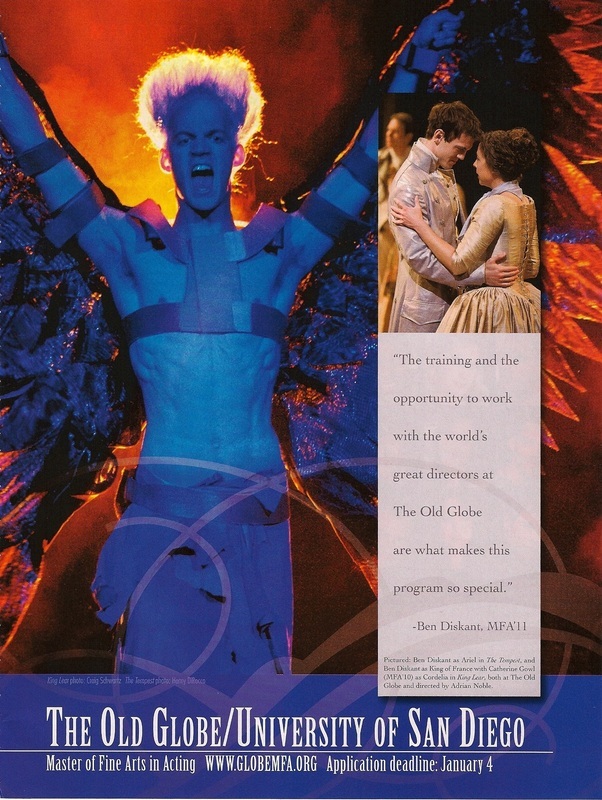 Ben was featured in an advertisement for The Old Globe Graduate Acting Program in the October 2011 issue of American Theater Magazine. To be a student learning theater in San Diego County is to get many chances to see — and, if you're lucky and talented, work with — highly reputed actors and directors who work on productions at the region's top theaters. A University of San Diego grad school program accepts a small handful of students for two years and immerses them in The Old Globe, putting them onstage all summer for the annual tradition, the summer Shakespeare festival. One of the students graduating this year is Ben Diskant, who has minor ensemble roles in the Globe's "Amadeus" and "Much Ado About Nothing" productions. Ben is appearing as Ariel in Adrian Nobel's production of The Tempest at The Old Globe Theatre. 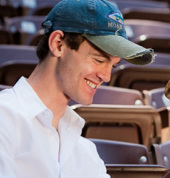 The show kicks off The Summer Shakespeare Festival for The Old Globe on June 19, 2011. The season also includes Amadeus (directed by Adrian Noble) and Much Ado About Nothing (directed by Ron Daniels). For more information please visit The Old Globe website by clcking here. Ben is appearing as Lane in Oscar Wilde's The Importance of Being Earnest at the University of San Diego which opens on March 5th and plays a limited run until the 10th. 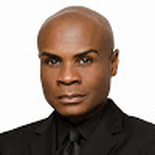 The MFA production is directed by Kirk Jackson. Shirine Babb is the recipient of the Darlene Marcos Shiley MFA Fellowship for exceptional professional promise and Ben Diskant is the recipient of the Craig Noel MFA Fellowship for exceptional promise in academics. For the full article and interview please click here. Ben is appearing as Bernard in Arthur Miller's Death of a Salesman at The Old Globe Theatre which opens on January 22, 2011 and runs through February 27. 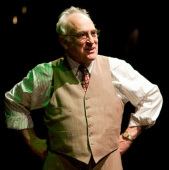 The production is directed by Pam MacKinnon and stars Jeffrey DeMunn as Willy Loman. For more information please click here.